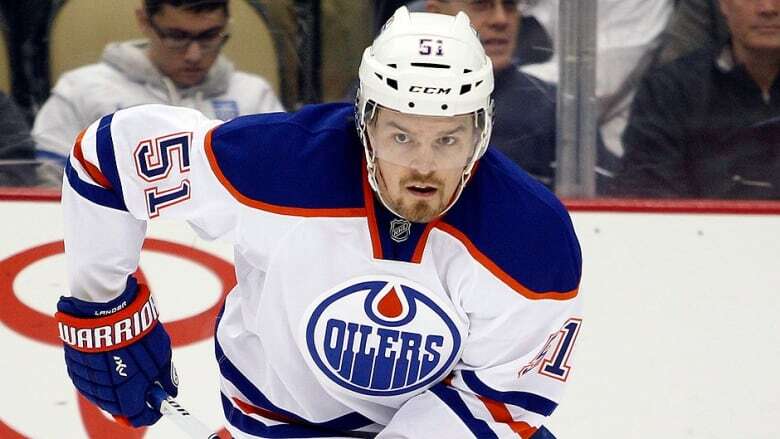 The Edmonton Oilers have signed centre Anton Lander to a two-year contract extension. He has six goals and 17 points in 33 games this season. The Edmonton Oilers have signed centre Anton Lander to a two-year contract extension. The 23-year-old Lander has appeared in 33 games with the Oilers this season, posting 17 points (six goals, 11 assists) and 10 penalty minutes. The Sundsvall, Sweden native has 25 points (eight goals, 17 assists) and 28 penalty minutes in 127 career NHL games. The six-foot 186-pound centre also served as captain of the American Hockey League's Oklahoma City Barons, registering 31 points (nine goals, 22 assists) and 20 penalty minutes in 29 games. Lander was selected by the Oilers in the second round, 40th overall, in the 2009 draft.